61 years, 8 months, 8 days old age. 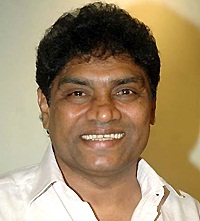 Johnny Lever will turn 62 on 14 August, 2019. Only 3 months, 22 days, 18 hours, 27 minutes has left for his next birthday. Johnny Lever has celebrated the total number of 61 birthdays till date. See the analysis by days count and bar graph. 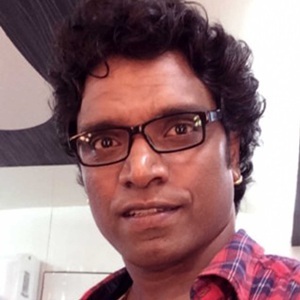 John Prakasa Rao Janumala known by his screen name Johnny Lever was born on 14th August 1957 in Kanigiri in the state of Andhra Pradesh, India. He is a Veteran Bollywood Actor known as a Comedian of the high regard in the entire film fraternity. 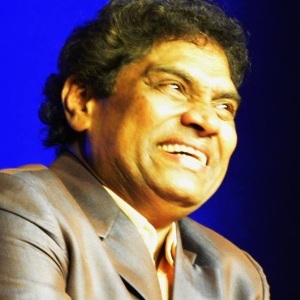 Johny Lever is the first stand up comedian from India and that is how he began his career. He made his debut in Bollywood with the film Dard Ka Rishta in 1984, this break was given to him by late Sunil Dutt, who saw him enacting at a charity show organized by Kalyanji-Anandji. In the decade of 80’s, he worked in films like Jalwa, Kasam, Tezaab, Kishen Kanhaiya and Khatarnak. His biggest success came when he portrayed servant Babulal in Baazigar, and after that, he was offered roles after roles in movies as a supporting actor and comedian. He made himself immortal for some of his noted characters, like "Aslam Bhai", "Chotta Chattri", etc. Till date, he has worked in over 350 films and the number tells the story of this legend that he is undoubtedly the best comedian Bollywood has ever produced. Lever had a brief stint on Television with his own show, Johny Aala Re. In 2007, he was roped in as a judge on the stand-up reality show Comedy Circus. Among all the characters that he played, his role of "Babulal" in the film Baazigar was arguably among the best roles that he played on screen. His journey from selling pens on the street of Mumbai to a stand up comedian and from there advancing to become one of the greatest comedians, Bollywood has ever produced will go down in history as one of the best success story. In addition to the silver screen, he has also lit up the small screen with some scintillating performances. He made his small screen debut with the television series called Zabaan Sambhalke in the year 1993. He is currently working the comedy television called Partners - Trouble Ho Gayi Double. He was born to Prakash Rao Janumala and Kanunamma Janumala. He had two younger brothers including Jimmy Moses and two younger sisters. 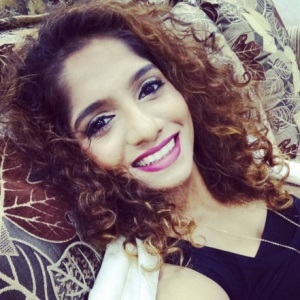 He married Sujatha and together they have two children, a son Jessey Lever and a daughter Jamie Lever, who is a stand-up comedian too. His early life was spent in extreme poverty. He had to leave school to support his family and did odd jobs like selling pens on the streets of Mumbai. He worked in Hindustan Unilever for 6 years prior to joining the film industry. There he used to do stand up acts by mimicking the senior officials of the company and that is how he got the name Johnny Lever. At one such show, Sunil Dutt spotted him and offered him a role. He received 13 Filmfare nominations and won 2 out of them under the category Best Performance in a comic role. He revealed in an interview that success got on his head and he started smoking and drinking heavily.